We are a non-profit association based in Genoa, Italy that promotes an authentic and sustainable tourism. This association has been created through a blog formed in 2014 after having walked down the Camino de Santiago and the Sentiero Italia. Our aim is to promote walking travels as a form of sustainable tourism that is also able to satisfy every need the traveller might have. We believe in this type of tourism because we care a lot about the environment; we think we are finally in an era where we have to fully commit to the preservation of our natural and human heritage with an economic and social impact that would not damage the geographical excellence and that would internally satisfy the visitor. 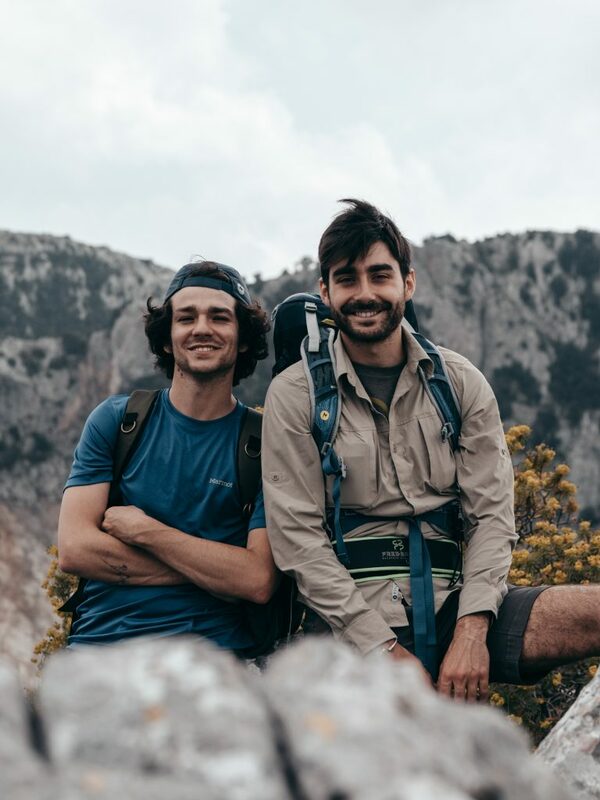 One of our main activities is to retrace abandoned paths through long walks in contact with people, nature and the local culture, passing on our experience to our followers through emotional videos in order to raise awareness and made them feel every emotion that an outdoorsy travel can provoke. We work with institutions for the creations of itineraries and their stories through pictures and videos. In our multimedia productions we try to put every excellence that a place can offer whether it is about nature or culture, gastronomy, history, arts or architecture. We recently worked with Slow Food International, Regione Liguria and the National Aspromonte Park (Parco Nazionale dell’Aspromonte). Our association also aims to the creation of multimedia material to promote in schools. This is a goal of ours that we strongly believe in since today’s generation is our future. In order to do this, we try to teach the sustainable tourism in class in a fun and technological way, through images and pictures and, if possible, through a direct experience on the trail. We collaborate with Licia Colò, hostess of the TV program “Il Mondo Insieme” that airs on Sky (channel 148). The program airs every Sunday and it reaches an average of 500K viewers. We are supported by the clothing and technical outdoor gear brand Marmot, Leica Camera Italia (camera gear), GSI Outdoor (camping gear), Gregory Backpacking (backpacks) and Kayland (outodoor footwear). David Le Breton in these words: ''Walking, in the context of contemporary reality, would seem to express a form of nostalgia or resistance. The walkers are singular people, who accept for a few hours or a few days to get out of the car to physically venture into the nakedness of the world. The act of walking represents the triumph of the body, with different shades according to the degree of freedom of the person. 1. Innovation: the true strength that Tripinyourshoes has is to develop innovative projects on the social promotion through high-quality content. 2. Sustainability: this theme is at the base of the development of a responsible tourism that economically supports realities that are at risk of extinction. 3. Ambition: this is a key theme in order to believe in the project and aim to reach positive results about the environmental impact in the tourism aspect. Co-founder of Tripinyourshoes. Videomaker & Beatmaker. I love to tell my point of view through my videos & photos, it's one of the things that gratifies me the most, the same goes for the music I produce.